Books & Patterns: Aunt Joe's Afghan - Aunt Joe's Afghan by Jo Ann Cross. Aunt Joe's Afghan by Jo Ann Cross. 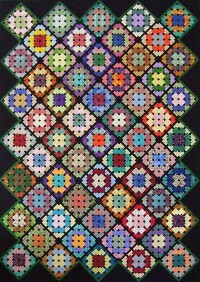 This is a scrappy throw that is made with Granny Square blocks.